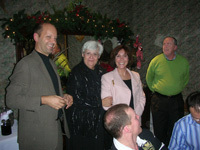 Please join us at Rudi Lechner's at 7:00 PM the first Thursday of each month. Each month Rudi features a different special Austrian themed menu at the value price of $15. You are welcome to order from the regular menu at the regular price.